Comparative and critical, Anthropology and Economy offers a uniquely cross-cultural view of economy. Using examples from market and non-market situations, the book shows how economies are built on five increasingly abstract spheres, from the house to community, commerce, finance, and meta-finance. Across these spheres, economy incorporates a tension between self-interested rationality and the mutuality of social relationships. Even when rational processes predominate, as in markets, economies rely on sociability and ritual to operate, whether as cronyism, pleas to divinities or the magical persuasions of advertising. Drawing on data and concepts from anthropology and economics, the book addresses wealth inequality, resource depletion, and environmental devastation especially in capitalism, providing an understanding of their persistence and ideas for controlling them. 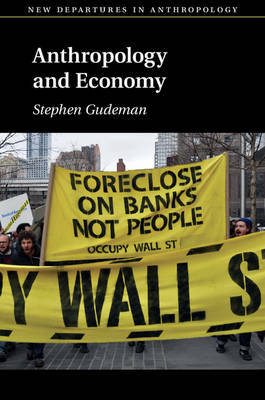 Given the recent financial crash, Gudeman offers a different understanding of the crisis and suggestions for achieving greater economic stability.